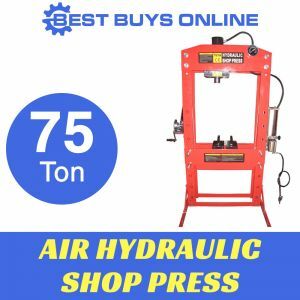 If you're into serious industrial or automotive repairs or any other pressing needs this shop press can save the day. From pressing bearings, removing and installing bushings, bearings, gears, ball joints, U-joints and roll pins to straightening bent stuff, even custom-bending metal... this shop press has no substitute. 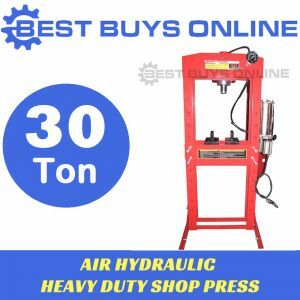 DURABLE: While a cheaper presses are great for a lot of stuff but they all don't last long, this 100 Tonne Heavy Duty Air Hydraulic Shop Press has been designed with heavy duty frame and quality steel constructions that ensure maximum strength, durability and precision. 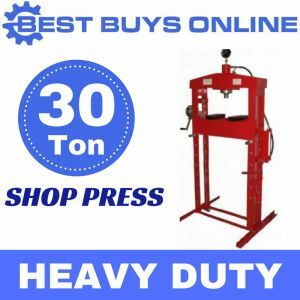 RELIABLE - Smooth & Safe Operation: this 100 Ton Press is the perfect machine to properly execute your mechanical pressing tasks. It comes with a gauge positioned so the operator can safely monitor pressing force being applied. 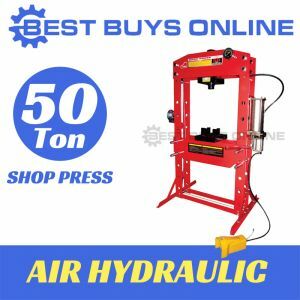 VERSATILITY: Designed to reduce labour and improve efficiency, this shop press can be operated manually or by air hydraulic and assisted with foot control valve and sliding head. It also comes with a hand operated winch for raising and lowering the bed. 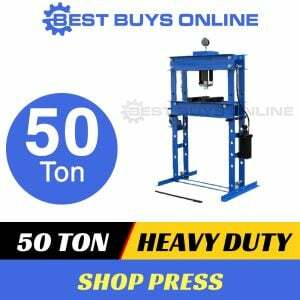 A forklift or a loading ramp is necessary to unload the unit from the truck upon delivery: 528kg.